This extra gentle exfoliating gel will remove dead skin cells without any harsh chemicals or skin-irritating microbeads. It contains atural papaya extract which takes off the dead and/or damaged skin tissue. It also contains apple extract which is full of AHA’s, that help further exfoliate the skin. This apple extract also tightens pores, which help reduce acne-causing agents. The citrus extracts brighten the skin, creating a more glowing and even skin tone! Use 2-3 times weekly. Wash your face, dry, and leave the gel on for 1-2 minutes. Gently massage the gel on the face and rinse off with lukewarm water. Place more product on dry areas of the skin to buff out for a smoother finish. Mizon Original Skin Energy Peptide 500 anti-aging serum formulated with important peptides which help firm, plump skin and clear wrinkles & fine-lines. Acetyl hexapeptide-8 helps with skin renewal, hydrates, and reduces fine lines; Palmitoyl Pentapeptide-4 stimulates collagen and firm the skin; Pentapeptide-13 helps with skin hydration; Copper Tripeptide-1 promotes production of collagen and elastin for skin healing. Mizon Original Skin Energy Hyaluronic Acid 100 is formulated with 50% Hyaluronic Acid, Ceramides and antioxidant Raspberry extract to keep your skin hydrated from the inside-out. This serum will help strengthen the skin’s barrier, prevent moisture loss and protect against free radical damage. 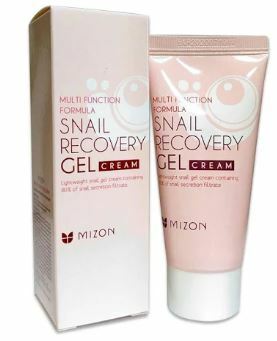 Mizon Black Snail All In One Cream is formulated with with 90% Black Snail filtrate, 20 different plant extracts, Adenosine, Peptides, and Niacinamide. This premium cream will take care of all skin types and problems including pores and blackheads, rough or dull complexion, dark spots, blemishes, and even scarring.